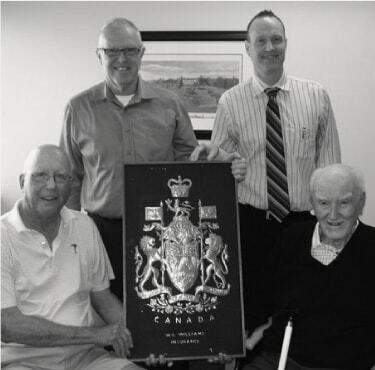 Rhodes & Williams Ltd. was established in 1935, and has since grown to be one of the largest independently owned insurance brokerages in Ontario. Our reputation has been built upon our willingness to work with clients on their terms, offering them greater choice and flexibility in their insurance and lifestyle needs. Some of our clients have been with us for over half a century, and that’s because they know that our insurance brokers and our whole team care about keeping their family, their business, and their way of life protected. For over eight decades, we have offered our customers unique benefits that have made us the province’s first choice for professional advice on personal and business insurance. Our insurance brokers are exceptionally well-connected, and they work for you – to source exceptionally well-priced and custom-designed insurance packages that protect what matters most to your family or business. With staff in Ottawa and Toronto, we’re like your local insurance broker with national capabilities. As a larger brokerage, we have many brokers who are experts in a wide variety of insurance specialties and industries, so we can match you with a broker who has the expertise to develop the insurance plan right for you. We are defined by the service, experience and impartial advice our brokers provide to our clients. Our brokers share a philosophy of providing our clients with personal, hands-on and highly responsive service. After all, one of the main benefits of working with a broker is building a relationship based on compassion and mutual understanding. Remember, we don’t sell you insurance. We purchase insurance for you on your behalf. That’s why our brokers are 100% committed to putting together an insurance plan that’s right for you. Your peace of mind is our business. More than the products, solutions and innovations we bring to the table, it’s our ability to respond to your needs that matters most. Our professional credentials in the insurance industry are only outweighed by our desire, dedication and passion to do the right thing by you, our customer. Whenever you have a question, comment or concern, please don’t hesitate to contact any one of our committed insurance professionals. Trent began as a graduate of Mechanical Engineering, but has now been in the insurance business for over forty years. He brings years of experience in Property, Casualty and Automobile Insurance as an Underwriter and Field Representative. He worked his way to be the Ottawa Branch Manager of one of Canada’s largest insurance companies. He is a registered insurance broker in the Province of Ontario and a Fellow in the Insurance Institute of Canada. He has been President and CEO of Rhodes & Williams Insurance for over 20 years. Trent’s responsibilities involve working with the management and staff to ensure they have all the training and tools necessary to be successful in their roles. Ultimately his responsibilities are the continued success of Rhodes & Williams Insurance, their staff and their clients through proper development of insurance programs for their needs. “I have complete confidence in our company to look after the insurance needs of all our current and future clients. We truly have an exceptional team that can act on your behalf, and become your trusted advisors,” says Cory. His ultimate responsibility as COO of Rhodes & Williams Insurance Brokers is to empower our staff to exceed our client’s expectations in protecting what they have worked so hard to achieve. His secondary responsibilities include leadership in our industry, the advice based insurance distribution channel, and the community in which he serves. Chris has enjoyed a successful insurance career with Rhodes & Williams Insurance since 1991. Chris is the Personal Lines Manager and actively manages his book of commercial clients. Chris has been a Partner of the insurance brokerage since 1993. 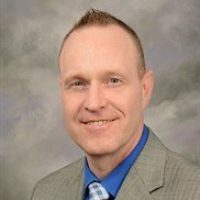 With many years of experience in the Account Executive role, Chris has developed a broad knowledge of the mechanics within the insurance industry allowing him to better serve his personal and commercial clients by developing a strong comprehensive program tailored specifically to his clients needs. Chris is a university graduate (B.A. ), a Registered Insurance Broker in the province of Ontario (RIBO) and has achieved his Canadian Accredited Insurance Broker (CAIB) designation. Away from the office Chris is actively involved in youth sports. He coaches his three kids in hockey and lacrosse. The greatest passions in his life, of course, are his family and friends. Heather has been a licensed insurance broker since 1995. 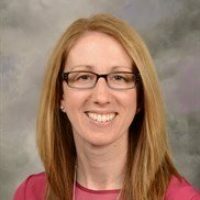 After graduating from university, she obtained her Registered Insurance Broker of Ontario license and began her career in the Personal Lines Department of Rhodes & Williams Insurance. She has since gone on to complete her Canadian Accredited Insurance Broker designation. She was an Account Manager for two years before taking on the challenge of Personal Lines Executive. It is her duty to review insurance needs with new clients and recommend the coverages that will best suit their needs. While she has experience in all lines of personal insurance, her main focus as this point is with marine insurance. In her personal life, Heather enjoys spending time with her family and all of their activities. She enjoys spending time at the gym and tries to balance everything out through yoga. Mandy has been with Rhodes & Williams Insurance since 2006 and has been in the insurance industry since 1999. She is one of the company’s top producers and has gained that status for a reason. She dedicates time to understanding her clients, their needs and the market trends. As the leader for the RCMP & Police member group program, she wants to be able to offer all of her clients the best coverage at the best rate. Mandy provides mentoring and training to other members of the Rhodes & Williams Insurance team as well. With three lively boys at home, all involved in various sports, Mandy is a busy parent like many of her clients. Mandy also embraces being a military spouse and has assisted many members moving into the area. She understands the importance of having peace of mind when it comes to personal home & auto insurance. Mandy holds an Honours Business Diploma from Algonquin College and the Canadian Accredited Insurance Broker (CAIB) designation. When she gets some down time, Mandy like to play softball, snap photos (mainly of her kids) and scrapbook. 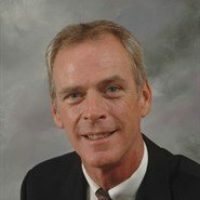 Tim joined Rhodes & Williams in January 2014 to fulfill the position of Sales Coordinator for Group Home and Auto – Personal Lines. He is looking forward to providing clients valuable savings and proper protection under Group and Personal Insurance programs. Tim started his insurance career in 1995 selling life and disability insurance throughout Eastern Ontario and then managed a team of agents for a number of years. For the last 8 years, Tim worked for a direct insurance writer in Ottawa servicing clients in all areas of insurance and financial services. During the winter months, you can find Tim at local hockey rinks coaching his son’s hockey team. In the summer months, Tim and his wife and family spend weekends up at the cottage working on new projects or relaxing by the water. 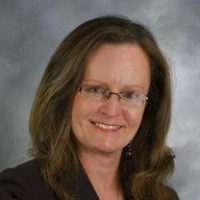 Heather Ross is a portfolio review specialist offering her expertise in Commercial and Personal lines insurance to our existing clients and consumers who want a fresh review of their current insurance program. Heather obtained her Registered Insurance Broker license in 1988, launching her successful career in the insurance industry by working in the underwriting, sales, customer service, business development and accounting areas of the business ─ eventually joining the brokerage owned by her father, Eric McLean Insurance Brokers Inc.
A strategic alliance was developed with Rhodes & Williams in 2000 to adapt to the evolving business of insurance and technology in the best interests of their clients. In 2004, Heather obtained her Canadian Accredited Insurance Broker designation and her Principal Broker license to manage Eric McLean Insurance Brokers with her father ─ until Rhodes & Williams Limited acquired the brokerage in February 2014. Heather also owns and operates a successful electrical contracting company with her husband. In her spare time, she enjoys her passion for grooming and training dogs, travelling with her family and making the most of each and every day! Brian began his tenure in the insurance industry in 2014 when his retirement from athletics and end of education were complete. He obtained his Registered Insurance Broker of Ontario License, and with family in the industry, it was an easy transition for Brian to pursue. Integrity, trust and honesty are just some of the qualities Brian applies to himself to go above and beyond customer expectation. Working in the service industry for over 10 years Brian always has his clients best interest at heart. Brian has represented Canada on multiple occasions in athletics but currently is just trying to find the finish line in the next local Marathon. If he’s not running you can usually find him golfing, skiing or playing recreational hockey and baseball. Brandon grew up with his family involved in insurance so it was a natural transition for him. Building relationships on trust, honesty and hard work is something he enjoys and prides himself on. He has extensive sales experience and uses his outgoing personality as a tool to create fulfilling relationships with clients. He looks forward to learning about the insurance industry more in depth. He is working on obtaining many designations to further his career and be as effective as possible. As a youth he was actively involved in many sports including football and skiing. Now in his down time you can find him on the golf course or at the race track; whether it is taking in an event or getting involved himself. In the winter months he enjoys traveling, skiing and playing outdoor hockey with friends. Tommy started his career in the insurance industry in 2012 after obtaining his Registered Insurance Broker of Ontario License (RIBO) license. He is currently working towards his Canadian Accredited Insurance Broker (CAIB) designation, and has recently completed CAIB 1. He has an advanced diploma in Business Administration from Algonquin College. He enjoys connecting with clients whether it is over the phone, email or in person; to understand their unique insurance needs to achieve the right insurance solution for them and their families. His goal is to always ensure that a client’s insurance experience is easy and hassle free. In his spare time, he loves spending time with his family and two young children. He likes to keep active with various types of fitness training, running, hockey, soccer and golf. Sue has been working in the insurance industry for 23 years and has been with Rhodes & Williams Insurance for the past 18 years. She is an Account Administrator who has worked from her home for the past seven years, issuing endorsements and renewals for one of our largest insurance companies. When not hard at work, Sue enjoys spending time at the cottage with her husband and two children. Bev moved to Ottawa back in 1979 and started working at Rhodes & Williams Insurance. She has been there ever since except for about eight years when she had kids. Bev works in the personal lines department where she bills and issues policy changes, does the morning reports, scans in all documents and just about anything else that is required of her. She helps out at the food bank and is a Sparks’s leader. Some of her favourite pastimes are gardening, scrap-booking and watching the Ottawa Senators go for the cup. 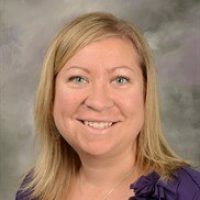 Laura has been with Rhodes & Williams Insurance since April 2001 and has been licensed with The Registered Insurance Brokers of Ontario for over 15 years. She finds her role as a Technical Assistant in the New Business Department, both challenging and extremely rewarding. Her attention to detail and thoroughness means she is there for you, just behind the scenes. Outside the office, Laura enjoys spending time with her family, friends, and biking the bike paths of Ottawa’s west end. She is also actively involved in raising funds for the Leukemia & Lymphoma Society (a charity that really hits home to her). She started taking part in their annual “Light the Night” walk with their very first one in October 2010. 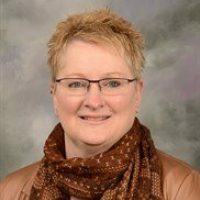 Prior to joining Rhodes and Williams, Tammy worked for a transportation company where she was responsible for accounts receivables and office administration. She is excited to be starting a new career as Personal Lines Account Administrator. Tammy looks forward to furthering her education as she works towards her RIBO certification. When she is not at work, Tammy is kept busy with her husband and three teenagers. In her spare time, Tammy enjoys time at the cottage with family and friends, walking with her dog and relaxing with a good book. Jesse has recently graduated from St. Francis Xavier University in Nova Scotia with highest honours in political science. Despite having finished his undergraduate degree, Jesse’s thirst for knowledge has yet to be abated as he strives towards earning his RIBO certification. With a fancy new degree under his belt and an overflowing handful of youthful exuberance, Jesse is excited as he begins his journey with Rhodes and Williams as a Personal Lines Account Administrator. When not at work, Jesse spends much of his time cozied up to a good book or can be found out in the city catching up with old friends. Nick graduated from Carleton University with a Bachelor of Commerce and a Minor in Geography. After finishing school, Nick spent time developing his skills working in accounting and data analysis roles. He is now eager to apply his abilities and expand his knowledge in the dynamic and ever-evolving insurance industry. He is also looking forward to continuing his education by working towards attaining his RIBO certification. Nick strives to be a team player and assist his co-workers and clients in any way possible. Outside of work Nick enjoys playing a variety of sports and spending time outdoors with his friends. Kelsey grew up in the Ottawa Valley on her family farm in Renfrew, Ontario. After graduating from Sheridan College with high honours, she then worked for multiple Marriott hotels in the city of Toronto. As a front desk agent and Sales Coordinator, managing group reservations and boosting hotel sales were just some of her daily duties. As a new member of the Personal Lines Department, Kelsey is eager to learn all about the insurance industry. She also hopes to acquire her RIBO certification in the near future. When not at work, Kelsey enjoys spending time with family, going for hikes and practising yoga for relaxation. Patti began her insurance career in 1983 with a major insurance company. In 1989 she moved to the broker side of insurance to work closer to her home and has been working as a Customer Service Representative for the past 25 years. With many years of insurance experience in personal lines, this will benefit her in her new position as Personal Lines Account Administrator. In her spare time Patti enjoys, traveling, fishing and four wheeling with friends. Antonietta (Toni) was born in Italy and came to Canada, with her family, at the tender age of 3. Toni has one adult son, Roberto and teenage stepdaughter, Jamelie and is married to Andre Villeneuve who taught her to reach for the sky and never give up on your dreams. In 2014, she left a job of 28 years to become an Insurance Broker. Having never worked in the insurance industry, she saw an opportunity to work with Steve Hill at S.M. Hill Insurance Brokers in North Gower, Ontario. In January of 2015, she obtained her RIBO licence and worked out of the North Gower location as an account manager for 4 years. She then moved over to the head office at Rhodes & Williams in Ottawa on September 1, 2018, where she is enjoying learning about insurance in a much bigger environment as an Account Administrator. In her spare time she enjoys crocheting, cooking, camping and spending time with her friends, family and her pug Zeus. Laura has been in the customer service industry for over 10 years and strives to surpass expectations of our clients and fellow employees. She is a member of the Rhodes & Williams Administration staff, in charge of making sure our office continues to run smoothly and offers support to all our team members. She is a new member to the social committee, assisting in planning events. She is the proud mother to two busy children and in her spare time can be found in the hockey rink working as the team trainer for her daughters hockey team. As a veteran of the insurance industry for more than 30 years, Debbie has experience in most aspects of the business. 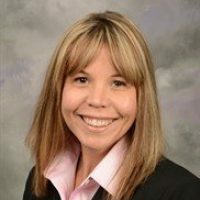 With the exception of several years on the Commercial/Surety side, her concentration has been with Personal Lines, both actively servicing clientele and in management positions. 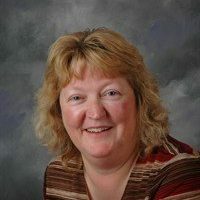 During hzer career with national insurance brokerages, she designed, developed and implemented both a national and an Ontario based group program. Holding an Honours B.Sc. degree in Genetics and her CIP insurance designation, her attention to detail and organizational abilities make her well suited to her current role of overseeing the Personal Lines Services team while ensuring office workflows are aligned with both our insurance broker management system and office goals. In her spare time you will rarely find her without a book in her hand. Debbie and her husband Rick, also an insurance industry veteran, are avid gardeners and cyclists and care for a menagerie of cats. Rose Ann began her insurance career with Rhodes & Williams Insurance in 1978, and other than a brief hiatus, has been part of our family ever since. She has truly learned the business from the ground up, serving in all aspects of the business from administration, to commercial lines, and now in her current role as Account Manager in Personal Lines. Rose Ann is a true example of a leader; learning new aspects of the business, leading the Personal Lines team; all the while taking care of all her clients’ insurance needs. When not looking after her clients’ insurance needs, you will likely find Rose Ann playing golf, riding on the back of her husband’s 2006 Goldwing motorcycle or traveling to her home land of Cape Breton. As you can see, her hobbies allow her to enjoy the landscape and people of the east coast, as well as her current home here in Ottawa. Christine joined Rhodes & Williams Insurance in 2000. Since that time, she has maintained an excellent customer satisfaction rating and fostered client relationships. This is accomplished by completing her daily tasks, which include looking after the many changes in client insurance coverage and advising when additional coverage may be required, or recommended. This is done professionally and with a smile; which also makes her popular with fellow staff and clients alike. Before joining Rhodes & Williams Insurance, Christine worked in the insurance industry for several years, both with insurance companies and insurance brokerages. This has allowed her to obtain the knowledge required to excel in her everyday duties and help others new to the industry. Christine enjoys skiing with her son Rowan and husband on the weekends as well as challenges such as a biking weekend to Kingston and back. In her down time Christine can be found curled up with a good book on the beach for relaxation. 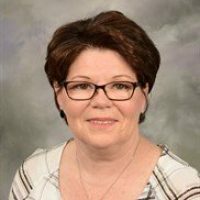 Laurie started her insurance career in 1988 working in Sudbury, Ontario and completed her Registered Insurance Brokers of Ontario license in 1990. After moving to Ottawa in 1993 and working in Personal Lines Insurance, Laurie successfully completed her CAIB designation. 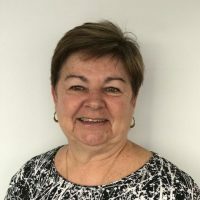 Working in the insurance industry for more than 30 years, Laurie brings a wealth of knowledge and experience to assist her clients with their insurance needs. In her off time she enjoys the outdoors, camping, fishing and spending time with her husband and 2 children. Bowling is her passion in the winter months. 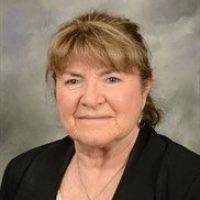 Madelaine has been in the insurance industry since November 1975, and obtained her license under The Registered Insurance Brokers of Ontario in September 1981. She takes ongoing courses to keep up with the changes in insurance coverages within the insurance industry. 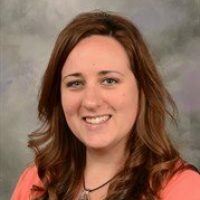 Madelaine is an Account Manager with Rhodes & Williams Insurance and has been with our office since August 2006. She does servicing for clients, looking after their personal needs for automobile, home, boat, trailer insurance. She is a knowledgeable, helpful and friendly asset to the Rhodes & Williams Insurance team. Madelaine is an active mother/grandmother who spends a great deal of quality time with her daughter and grandchildren. Carol’s insurance career began in 1990. After an 8 year hiatus at home looking after her two children, Carol started back to work in the financial industry. In 2007 it was time to change once again to her current role. Carol is dedicated in her role as Account Manager and is continuously attending company seminars to ensure she is up to date in the constantly changing insurance industry. She enjoys getting to know her clients and feels that this personal relationship is what makes her most effective in her job. In her down time, Carol enjoys spending time with her 2 sons, travelling to sunny destinations, cooking, baking and reading. Wendy started her insurance career as a receptionist with a rather large Insurance Company in Montreal in June 1976. In January 1979 she moved over to a brokerage; then moved to Ottawa where she started her career with Cleary & Associates in August 1981. Wendy enjoys talking with her clients and advising them on their insurance needs. Wendy is sure to attend several seminars throughout the year to keep up with the ever changing markets. In her off time, Wendy enjoys spending time with her husband and Molly, their golden retriever. Sandy started her insurance career in 1986 as a receptionist for an insurance brokerage. Soon after, she obtained her Registered Insurance Brokers of Ontario license. She took a brief hiatus to return to school, obtaining a B.A. in Psychology. After graduating in 1991, she returned to the insurance industry, working in various positions in accounting and personal lines. She brings a wealth of knowledge and experience, and enjoys working with clients to ensure that their insurance requirements are met. In her spare time, Sandy enjoys family time, teaching fitness classes, reading, and watching classic movies. Kerry began her insurance career in 1993 in an insurance brokerage mailroom as a summer student. A year later she decided to pursue her Registered Insurance Brokers Licence. 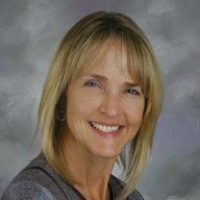 Kerry went on to work at an Ottawa broker for seven years and teach the insurance brokers licencing course at Algonquin College for a couple of terms before taking some time off to raise her boys. Upon her re-entry into the workforce she worked in the hi-tech industry but was eventually drawn back to the insurance world where she enjoys her role as Account Manager. Kerry loves that every day in her job brings new challenges and different people. In her spare time, Kerry loves spending time with her family and loves to travel. She can often be found with a good book, outdoors in the warmer months and lives to vacation on the beach. Alison obtained her General Insurance license in 2014 and spent several years as a direct writer. In this role she dealt with many areas of insurance including personal and commercial lines. She recently joined Rhodes & Williams in the Fall of 2018 and secured her RIBO license. In her short insurance history she has grown her knowledge and skillset. Alison prides herself on her strong work ethic and dedication to her customer’s needs. Being seen as a knowledgeable and trusted broker allows her to establish strong relationships with clients and coworkers alike. In her spare time Alison enjoys spending time with her friends and family and getting to the gym as often as possible. She is an avid Crossfit athlete (and often competitor) as well as a cyclist and runner. When she’s not working or working out she enjoys travelling with her boyfriend. 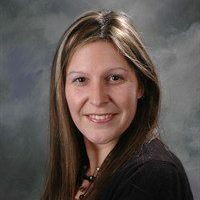 Tina started her insurance career in 2005 as an office administrator for an insurance broker and obtained her Registered Insurance Brokers of Ontario (RIBO) licence in 2009. She has had the opportunity to work as a personal lines insurance broker and as a direct market insurance representative allowing her to gain some useful knowledge of the insurance industry and this has also helped her achieve excellent customer service experience. Prior to entering the insurance industry she worked at Chapter/Indigo for 7 years. Tina also has a passion for travel and graduated from Algonquin College for Travel & Tourism in 2003. Over the last 2 years Tina has work very hard to obtain her Canadian Accredited Insurance Broker (CAIB) designation and finally completed this in November 2018. In her spare time she is busy at home raising 2 young boys with her husband, Luke. She enjoys spending time with her family outside at a lake, taking long walks or bike rides and just simply watching her boys grow! Beverly has worked for the Rhodes & Williams Insurance Markham Office since October 2007 as an Account Manager. Over the last 15 years of her insurance career, she has accumulated knowledge in both Personal and Commercial lines having worked at other large Insurance Brokerages and as a Company Underwriter. She graduated from St. Francis Xavier University with a Bachelor of Arts degree in 1988. She obtained her CIP in 2002 and is currently working toward her Canadian Accredited Insurance Broker designation. 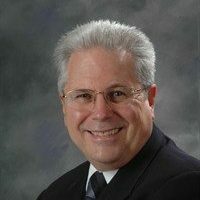 Bob’s tenure in the general insurance field spans more than thirty years, and includes experience as an underwriter, commercial account inspector and insurance broker. 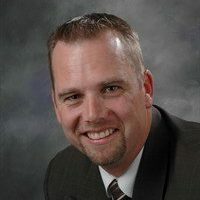 As an insurance broker, he specializes in insurance solutions primarily for manufacturing, technology, construction and not-for-profit organizations. Bob is a Registered Insurance Broker in Ontario and is licensed in most Canadian provinces and territories. He is a Chartered Insurance Professional (CIP) and Canadian Risk Manager (CRM). Past credits include instructing Insurance Institute students, RIBO accredited continuing education course provider, and guest speaker at insurance or risk management functions. Bob and Judy have three children and one grandson. His hobbies include swimming, kayaking, camping and spoiling his grandson. Volunteer activities include Scouts Canada, Heart and Stroke Foundation, Kidney Association, Insurance Institute, and local Church Parish. Kelly began his insurance career in May of 1985. While attending the Registered Industrial Accounting program (RIA), he accepted a position with a leading insurer in the property underwriting department. Having been promoted through the ranks to Marketing Manager with a major commercial insurer in Canada, Kelly has developed a strong understanding of the insurance industry. Kelly joined Rhodes & Williams January 1st, 1996 and became a Senior Partner in 1999. He is RIBO Licensed and additionally holds several US insurance broker licenses. He specializes in technology and professional liability insurance policies and has become a leader within the insurance industry. 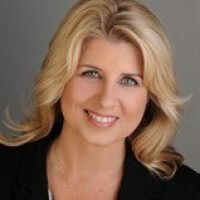 Kelly’s experience includes successfully writing the corporate insurance program, as well as the IPO Directors & Officers liability insurance program, for a multi-Billion dollar market cap company dually listed on the NYSE and TSE. Mark began his insurance career in Toronto after completing his Bachelors of Economics at Laurentian University in Sudbury. He started his career as a Property Insurance Underwriter at a global insurance company. While he was in Toronto he transitioned from the insurance company side to the insurance brokering profession with a national insurance broker. He moved to Ottawa with another broker that was subsequently purchased by the largest international insurance broker in the world. 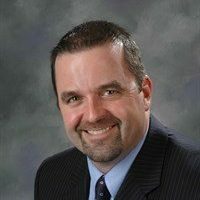 During this time Mark became a Senior Vice President and Commercial Sales Manager for the Ottawa branch. Mark joined Rhodes & Williams Ltd in 2008 as a Senior Account Manager. 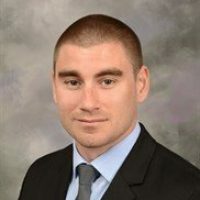 He is the Commercial Sales Manager and is heavily involved in the Technology Practice Group. During his spare time Mark and his wife Lorraine shuttle their two girls to various activities including skiing, swimming, skating and dance. He spends every weekend from May to October building a cottage on an island on the Ottawa River in Petawawa. After graduating from University with a degree in Psychology, Kristy worked as a claims adjuster for four years with one of Canada’s leading insurance companies. 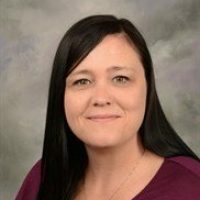 Kristy has been with Rhodes & Williams Insurance for over 20 years; the first five years as a Personal Lines Account Executive and then as a Commercial Account Executive. For over 10 years, Kristy has also handled the role of the Human Resource Manager for a growing and busy office. She finds the dual role challenging but rewarding as she is able to continue the relationships with her commercial clients as well as handling the day to day personnel issues. In her spare time, Kristy and her husband Bill can be found in the rinks, fields and courts watching their children who are involved in many sports. Personally, Kristy enjoys working out, playing golf and vacationing at their cottage in PEI. Michel joined Rhodes & Williams Insurance as a Commercial Insurance Broker in 1995. He understands the challenges business owners face since he owned a retail and distribution company for twenty years. Combining his business background and insurance knowledge allows him to make value added recommendations around the design of an insurance program and risk management issues. While he has helped business owners in various industry sectors he has developed specific expertise in Technology, Retirement Living and Associations. 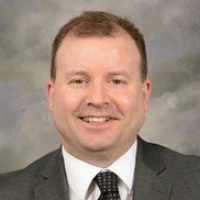 Prior to joining Rhodes & Williams Insurance in January 2000, Darren was employed by one of Canada’s leading insurance companies as a Commercial Lines Underwriter and Portfolio Consultant/Marketing Representative. 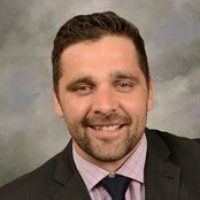 He is currently a Registered Insurance Broker in Ontario (RIBO), a Fellow of the Chartered Insurance Professionals of Canada (FCIP) and has completed the Canadian Risk Management study program and received his C.R.M and the Construction Risk Insurance Specialist program (C.R.I.S.). As your Account Executive his responsibilities will involve working with you to understand the intricacies of your business in order to design, implement and regularly update a cost-effective comprehensive insurance program tailored to your individual insurance needs. Away from the office Darren is busy with his three kids and can likely be found at either a hockey rink, lacrosse arena or football field. Lonny began his insurance career in college where he graduated from Algonquin College’s Business Insurance program in 2002. Shortly after, he joined ING Insurance and was a claims representative with them until 2005; when he joined the Rhodes & Williams Insurance team. After starting out in personal lines, Lonny quickly began to excel in business insurance finding his strength within the contracting industry. Through on site experience and various industry-specific training courses and programs, Lonny is becoming an expert in dealing with contractors’ insurance. He enjoys working closely with his clients to understand their business and put together the best insurance program for their individual needs. During his free time, Lonny enjoys playing various sports such as hockey and golf and is an avid fisherman. If he’s not on the water, at the rink, or on the green, chances are you’ll find Lonny out and about spending time with family and friends. Lorne joined the Rhodes & Williams Commercial Account Executive team in 2012 when he and his wife Karen moved to Ottawa. Lorne is a leading insurance specialist in the aviation, energy, environmental and life science sectors. Lorne is R.I.B. Ontario and NYS P&C licensed. 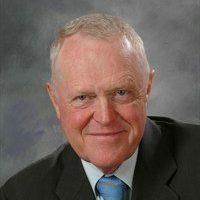 Prior to joining Rhodes & Williams Insurance in 2013, Stew built and managed his own very successful Insurance Brokerage, with several Specialty lines including Marinas, Municipalities and Contractors. After selling the Brokerage in 1998, he kept himself busy in the industry as a consultant on many special projects, also acting as an expert witness in insurance related litigation. He is a Fellow of the Chartered Insurance Professionals of Canada (FCIP). Stew’s Insurance career started in his hometown Ottawa, as a Field Underwriter with one of Canada’s Leading Insurance Companies. 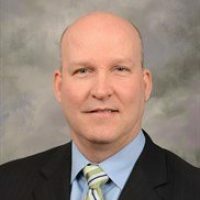 He has extensive experience and knowledge of the insurance and risk management needs of the Marine, Construction, Commercial Fleet, and Auto Dealer industries. He has introduced our Lloyds Marina Program known as Marina Advantage and contributed important help, in establishing our Lloyds Marine Pleasure craft Program known as All Marine Advantage (AMA). “Marine Insurance is one of the services we do best” at Rhodes & Williams, says Stew. Our Policy forms are easy to read. Some folks say we are a market leader and innovator. Pricing for our marine products is competitive, and our 24 hour Claims Service is the best in the industry. Lindsay graduated from Carleton University with highest honours in Environmental Studies and Religion. Her career took a turn towards insurance through her husband’s family who have deep roots in the industry. Lindsay started out in 2014 as an Account Administrator in our Personal Lines department, and then took a detour to the company side where she spent 14 months as an auto and property underwriter. Lindsay returned to Rhodes and Williams in early 2018, joining our Commercial Lines department as a Technical Assistant. She is eager to learn and will be obtaining her RIBO this year, right after her long-awaited honeymoon to Ireland. Outside of the office, Lindsay enjoys spending time with her husband, friends and family (& cats), cooking, exercising, travelling and indoor gardening. Megan has worked the past nine years in retail management which helped her develop a strong customer service and management skill set. Megan is new to the insurance industry and will be part of the Commercial Lines Department. She is eager to continue to develop her knowledge as well as learn the dynamics of the insurance industry. Megan wants to work towards attaining her RIBO certification. Outside of the office, Megan enjoys taking her dog (Cameron) on long hikes as well as to the cottage or anywhere else outdoors. She also loves to cook, spend time with friends, travel and swimming. Raven recently returned back home to Ottawa after living in Vancouver for 4 years. Raven has 7 years’ experience in Hospitality working as a Server, Bartender and lastly as a General Manager. For the last 2 years, she has worked in Auto Sales. Raven became interested in the Insurance world after hearing from her Aunt, who works with our sister company Capcorp Financial, about a potential job opening at Rhodes & Williams. Raven is eager to learn the ins and outs of the insurance industry and looks forward to obtaining her RIBO license in the near future. In her spare time, Raven loves to take her German Shepard Mila on long walks and hikes. She loves camping, cooking and reading. A veteran of the insurance industry of more than 34 years, Hilary has experience in many aspects of the business. Her primary focus has been commercial insurance with roles in customer service, underwriting and management. An active member of the insurance community, she served as a board member for the local and provincial broker associations as well as the local insurance institute. 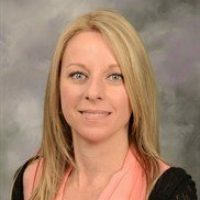 Hilary is a registered insurance broker in Ontario (RIBO) and a Fellow of the Chartered Insurance Professionals of Canada (FCIP). She completed the Canadian Risk Management and Canadian Accredited Insurance Broker programs receiving her CRM and CAIB designations. An avid traveler and pet lover, she enjoys time with family, friends and her dogs. After graduating with her BA from the University of Waterloo, Christine moved to Ottawa and was hired as a receptionist at a local brokerage. She accelerated quickly to the commercial department and shortly thereafter completed her R.I.B.O., training to become a licensed insurance broker. She joined the Rhodes & Williams Limited team in October 2006. Christine is responsible for your day-to-day needs, including Certificates of Insurance, claims reporting, and contract reviews.Her duties also include marketing, coverage comparisons, policy changes, and any general inquiries. Since obtaining her license in 2004, she continually attends seminars to keep her education in line with the ever-changing insurance industry. She is organized, efficient, and always looks forward to speaking with her commercial clients. Christine is happily married with two pretty awesome kids. She and her family enjoy spending time outside on their rural property and playing with their dog. In what little spare time she has between shuttling her kids to various activities, she enjoys yoga, trying new restaurants, curling up with coffee and a good book, and spending time with close family and friends. 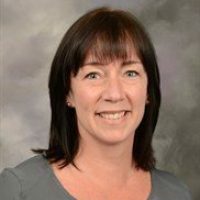 Diane is currently a member of the Insurance Brokers Association of Ontario and is licensed by R.I.B.O. (Registered Insurance Brokers of Ontario). She has been in the insurance industry since 1974 and owned her own insurance brokerage in a small town that sold in 1997. She then joined Rhodes & Williams Insurance to manage their small business unit. She excels in small business clients due to her experience and knowledge having owned her own business. Outside the office, Diane enjoys playing mixed and fastball and in her spare time, takes pride in helping out with her 10 grandchildren. 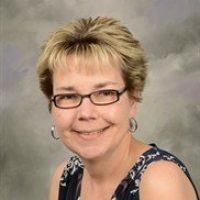 Cindy’s tenure in the insurance industry began in early May of 2002 and includes three years of College Training in the Business Insurance Program at Algonquin College of Applied Arts and Technology. She is a member of the Insurance Brokers Association of Ontario, licensed by The Registered Insurance Brokers of Ontario and is currently working towards her C.I.P. designation. As a Commercial Lines Account Manager, her duties extend to the preparation of correspondence, Certificates of Insurance, customer inquiries, claim reporting and all other general insurance requests. Christine has been a licensed Insurance Broker with R.I.B.O. since 2006 and has been working with Rhodes & Williams Ltd. since 2008. She has worked as a Portfolio Manager for senior partners at Rhodes & Williams Limited since 2009. Her position requires her to manage larger commercial and high tech accounts on an everyday basis as well as marketing new business. Her duties extend to the review of policy documents, preparation of proposals, customer inquiries, claim reporting and marketing, along with all other insurance inquiries. In her spare time Christine enjoys travel, sports and time with friends and family. Erin has worked for Rhodes & Williams Insurance for almost one year. She has been in the insurance industry for almost nine years. She has just recently received her Registered Insurance Broker of Ontario license. Erin is a proud mother of two boys and helps run a company with her husband. 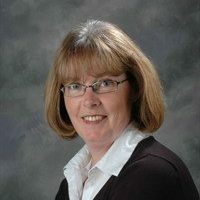 Donna started her career in the insurance business in 1984 after completing her Bachelor of Arts at Queen’s University. She has always worked in the commercial sector garnering experience over the years that enables her to assist clients with more intricate and complex accounts. Donna is a registered Insurance Broker of Ontario and continues to expand her knowledge by attending seminars and classes to ensure her knowledge is in keeping with the ever changing insurance world. Although she enjoys many leisure activities, some of her favourites are cooking, gardening and travelling with friends. Sherry has been working in the Commercial Lines Department with Rhodes & Williams Limited since June 2016. Sherry has been in the industry for over 10 years on both the Broker and the Insurer side of the business. Sherry has been a Registered Insurance Broker of Ontario in good standing since April 2008. She continues to upgrade her insurance knowledge with eight RIBO credits annually. As a portfolio manager, her duties extend to the review of your policy documents, preparation of correspondence, Certificates of Insurance, customer inquiries, claim reporting along with all other insurance inquiries. On a personal note, when Sherry is not in the office, she can usually be found enjoying family time at the cottage, or playing sports with friends. 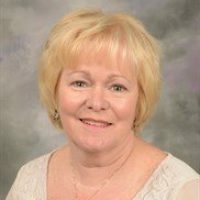 Cheryl started her career in the insurance industry in 1984 after graduating with her Legal Secretarial Degree from St. Lawrence College. 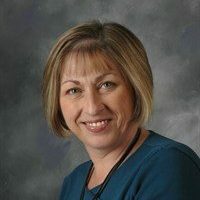 Hired as a receptionist, she quickly obtained her R.I.B.O certificate and worked as a Personal Lines Broker for six years before transferring to Commercial Lines. 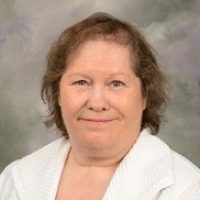 With over 30 years of experience Cheryl has developed extensive knowledge of the insurance industry and has the ability to handle large commercial accounts with technical or complex needs. Her duties as a Commercial Portfolio Manager includes day-to-day customer service, policy changes, review of contracts for certificates and claims as well as marketing, quotation, policy comparisons and Proposals of insurance. Cheryl enjoys spending time with her two grandchildren, getting together with family and friends, going for walks and cross country skiing. Lana recently moved to Ottawa and joined the Rhodes & Williams team. 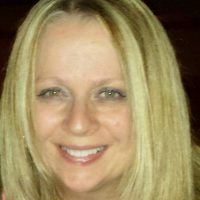 She brings with her two years of experience from a large brokerage in Hamilton, Ontario where she worked as an assistant in their Commercial Department. She is currently working on obtaining her Registered Insurance Broker of Ontario (RIBO) license and once completed will then start work on getting her Chartered Insurance Professional (CIP) designation. At Rhodes & Williams, she works as an assistant in the very busy Small Business Unit. Included in her duties is the preparation of various client correspondence. Lana is organized and detail-oriented, making sure that every insurance document going out does not contain any errors. In her spare time she enjoys cooking, gardening, flower arranging, scrap-booking and playing with her cat, Sheila, that she adopted from the SPCA. Terri has worked at Rhodes & Williams since 2012. Before coming to Rhodes, she worked as a Personal Lines Sales Associate for 5 years. She received her Registered Insurance Broker Ontario license (RIBO) in the Summer of 2013 and is hoping to begin working towards obtaining her Chartered Insurance Professional (CIP) designation. In her spare time, Terri enjoys attending various live sporting events to cheer on her favourite teams. She also enjoys playing softball for a number of teams, spending time with family & friends and spending her weekends in the summer at her cottage in Calabogie. Mary Raymond graduated from Algonquin College with a Diploma in Administration, Majoring in Accounting. Her first job was as a Bank Teller/Accounting clerk with the Ottawa Fire Fighters Credit Union. When she moved to Rhodes & Williams in 1982, no one would have dreamed what the future would hold for her. After more than 35 years, Mary is still with Rhodes & Williams Group of Companies, in the position of Office Manager. While her title has not changed from day one, Mary’s skills and responsibilities have grown as the company grew. 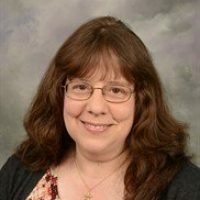 Now, as a key member of the management team and senior member of the accounting department, Mary enjoys the team she works with and still loves coming to the office. When not at work, you can find Mary volunteering at the farmers market, taking road trips to just about anywhere, traveling or curled up with a good book. Amanda brings over 15 years of finance and business experience to her role of Accounting and IT Manager for Rhodes & Williams. 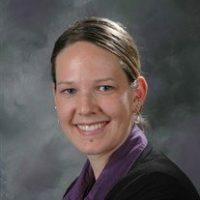 She oversees RW’s critical accounting functions, including accounts receivable and payable, banking, reconciliations and budgeting. Amanda joined RW from an adventure company in the Ottawa Valley, where she served as the Office Manager, handling the administrative duties of the rafting company in the summer and the ski hill in the winter. Her spare time finds her travelling, playing softball, scrap-booking and running after her 5 nephews. Sandy brings more than 30 years of accounting and leadership experience to Rhodes & Williams. She was Office Manager of H.D. Fripp & Son prior to their amalgamation into Rhodes & Williams in 2013. Sandy is now a key member of the accounting team for the Rhodes Group of Companies. She also handles the licensing for Rhodes in the various provinces across the country and parts of the US. In her spare time Sandy loves to travel, cross-stitch and golf. Emma is working as our Junior Accountant and in an Administrative position with Rhodes and Williams. She is currently attending Algonquin College’s School of Business – Accounting program working towards her diploma. Before joining the Rhodes and Williams team, Emma worked in a small office looking after the bookkeeping and administrative tasks. In her spare time, Emma most enjoys scrapbooking, interior decorating and outdoor activities. Tina was born in Sudbury, Ontario. In 1977, she graduated from Nickel District High School with a Grade 12 diploma. At the age of 18 came to Ottawa to make her mark. With the help of relatives she found an apartment, a job and friends working at Sun Alliance (now Royal Sun Alliance) as an Administrative Clerk. In 1981, Tina married and in 1986 relocated to Edmonton, Alberta with her husband Paul and two daughters, Andrea and Jen. For the next several years raised her daughters and worked part time for her sister-in-law, Susan at her retail stores. In 1995 it was back to Ottawa. With both girls active in jobs and school, Tina decided to return to the Insurance industry & joined Rhodes & Williams Insurance in 2004. Her duties include reception, mail & filing. In her spare time she enjoys scrapbooking, needlepoint and cheering her girls on in football. Robert graduated from the University of Ottawa with a B.Sc. in Biology. After spending several years in the federal government working in plant pathology, he decided to follow a dream and move to Australia. After living, working and travelling in Australia for a year, he returned to Canada and decided to change careers ─ pursuing his passion in all things technology. 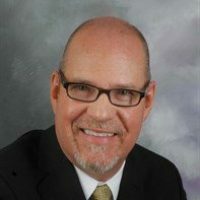 Robert is responsible for maintaining the cloud-based computer and voip phone systems as well as digital marketing for the Rhodes & Williams brand. In his spare time, Robert enjoys fitness, sports, reading and especially travelling.